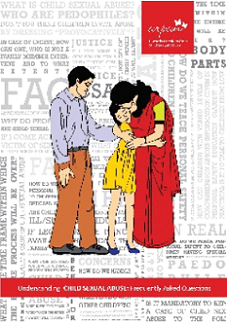 Personal Safety Education – Arpan’s flagship programme has been conducted with 39 Municipal Corporation of Greater Mumbai (MCGM) schools and 2 Central Government Schools. 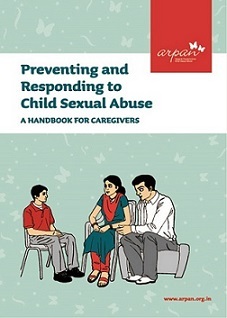 Training with MSCERT – Arpan conducted training sessions for State-level master trainers on Understanding CSA and conducting Personal Safety Education. Training of Police Personnel with an aim to provide relevant knowledge and skills to address the issue of CSA. Training for Municipal Corporation, Kolhapur – Arpan has conducted training for teachers and Master Trainers from 59 municipal schools in Kolhapur, Maharashtra. 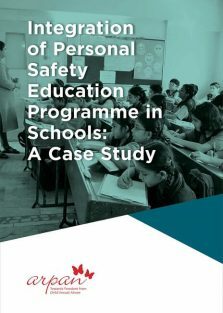 Arpan has also assisted the administration in creating an implementation and monitoring plan to ensure that Personal Safety Education is effectively conducted across all schools. MCGM, Special Education Department – Arpan has conducted a training for Special Educators from 17 schools in the MCGM, Special Education Department. These teachers have adapted the Personal Safety Programme to their environments and are independently conducting the programme with parents and children. WCD, Konkan region – Arpan has conducted training sessions for Superintendents and Caretakers across all institutional homes. Police Department, Mumbai – Training on Understanding CSA and Personal Safety Education was conducted for officials from Crime Against Women’s Cell, Mumbai Police. The purpose of the training was to enable officials to conduct awareness sessions at schools. Arpan has also been conducting annual awareness Sessions for newly recruited cadets. Think Tank for School Curriculum: Since January 2018, Arpan has been part of a Life Skills think-tank initiated by MHRD, working closely with NCERT and CBSE towards creating a content framework for a curriculum on Life skills. 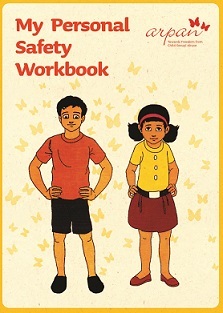 Arpan has worked closely on the module on ‘Safety and Security’ with NCERT on the curriculum for Health and Wellness of school going adolescents under the aegis of the school health programme of Ayushman Bharat. Protocol/Guidelines for Ensuring Safety of Children in Schools: CBSE had invited Arpan to review their Protocol/Guidelines for Ensuring Safety of Children in Schools developed by CBSE. 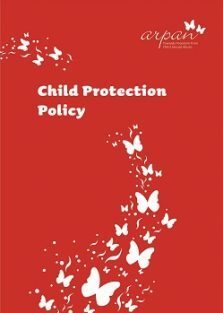 While the document developed by CBSE is very well thought out in laying down the macro-framework for school safety, we have worked on making it more robust by drawing from the other existing national and international Child Protection Policies. Engagement with NCPCR – Arpan has actively participated in consultations initiated by NCPCR for a media campaign on prevention.